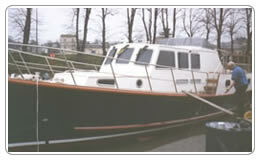 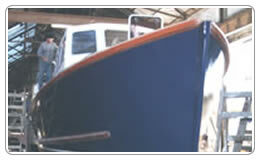 Blue Dolphin, formerly an Essex police launch, circa 1958. 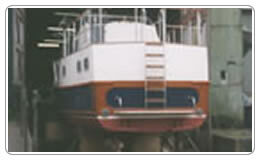 Constructed of solid teak. 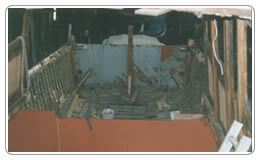 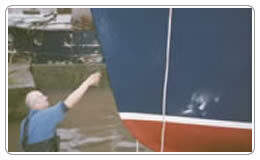 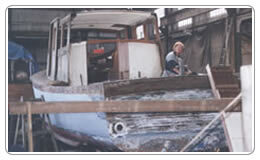 The vessel was purchased in the mid-1990's and refurbishment commenced in 2000. 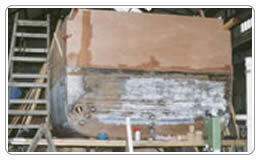 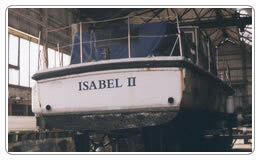 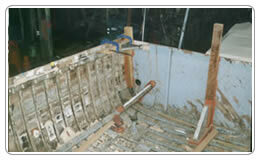 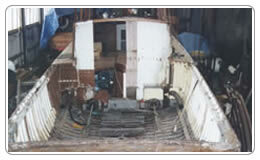 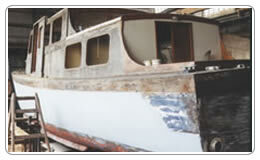 She was stripped to the bare hull and a new superstructure and interior was built. 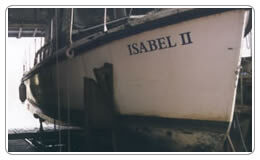 Powered by two 300hp Mermaids.